Back in the winter of 2013-14, we had some very big ice storms here in the Washington, D.C. / Baltimore area, which took out a large number of branches and a few trees as well. The next spring we noticed that the TV signals from Washington, D.C., did not disappear, after the leaves came out on all the trees while using our attic antennas. This was a very pleasant surprise and it took me a few weeks of testing to finally figure out what had happened. Since nothing on my end had changed; (other than a few less branches on some of the trees between my antennas and D.C.) I figured that there were enough missing branches between the DTV station antennas and our attic antennas that the signals were strong enough to receive, even with the leaves on the trees. This year (2015) I noticed that the TV in the family room was having problems with a few of the Washington and Baltimore stations, mostly 7, 9, and 13. These were now pixelating and sometimes dropping out for periods of time. The TV in the family room has a splitter to split the signal between the TV and an iView DVR/Tuner box. The first thing I did was to remove the splitter to get back ~ 3.5dB to the TV. This cleared up the signals to the point that they are solid once more. It seems that the trees have recovered a bit of their foliage this year, making signals a little weaker than last summer. I can only assume that they will continue to get weaker every year until they are no longer strong enough to get through the trees. One of those people, Bob Oshel, contacted me in February of this year (2015) asking for advice so he could build the antenna. Once he did that, he wanted to know if he could extend the antenna with more sections vertically. In the end, he added two more four-element sections to the antenna so that instead of the original four, there were now 12 sections. This made the antenna three times longer than the original and improved his signals so much that even the weakest station was solid. 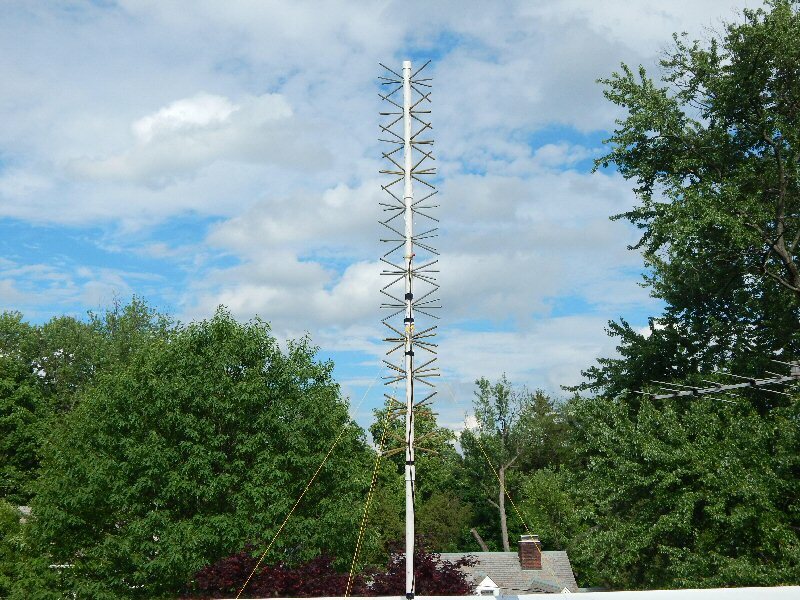 Here’s the link to our email exchange concerning the extension of this antenna. 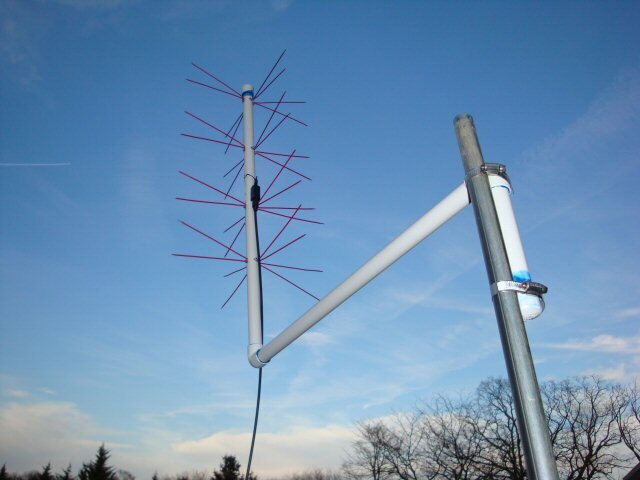 Antennas.htm – March 04, 2012 – Click on the “Comments From Others Who have Built This Antenna” link on this page to see the email exchange with Steve Fernino, as well as the email exchange with Robert Oshel. Bob, and I discussed how to extend the antenna. Photos of his antennas are on the “PorcupineComments.htm” page as well. My plan now is to build the extended antenna and then place it outside in the best location I can find to see if it will bring in all stations, even as the trees continue to improve and degrade our signals even more than this year. 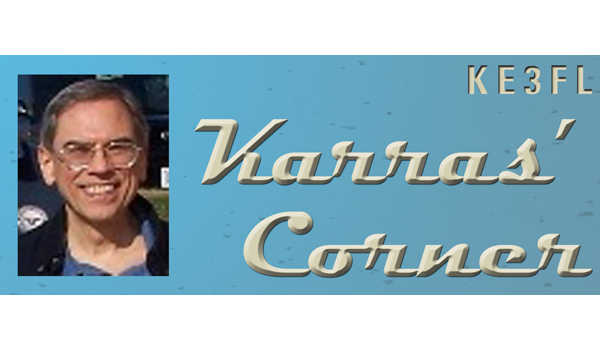 I will add to this article as the years go by when changes are noticed and/or made to my antennas to get better signal levels. When should you use an indoor antenna? How long should you expect an antenna rotator to last?